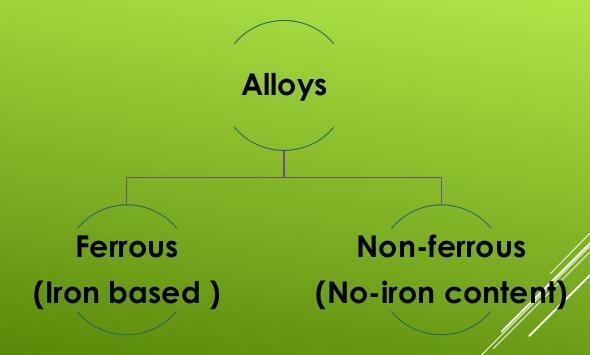 Ferrous material refers to those materials whose main constituents is iron; while non-ferrous materials are those which do not contain iron in any appreciable quantity. Ferrous materials are usually stronger and harder and are used extensively in our daily lives. One very special property of ferrous materials is that, their properties can be significantly altered by heat treatment processes or by addition of small quantities of alloying elements. Ferrous materials are relatively cheap but suffer from great disadvantage. They are subject to corrosion and rusting.